Arizona Alimony Specifics: How is it Set and What Factors are Considered? In a perfect world, conflict wouldn’t exist and marriages would never end. Unfortunately for many couples, divorce is an unsettling reality that comes with several considerations, many of which a skilled divorce attorney can assist with. 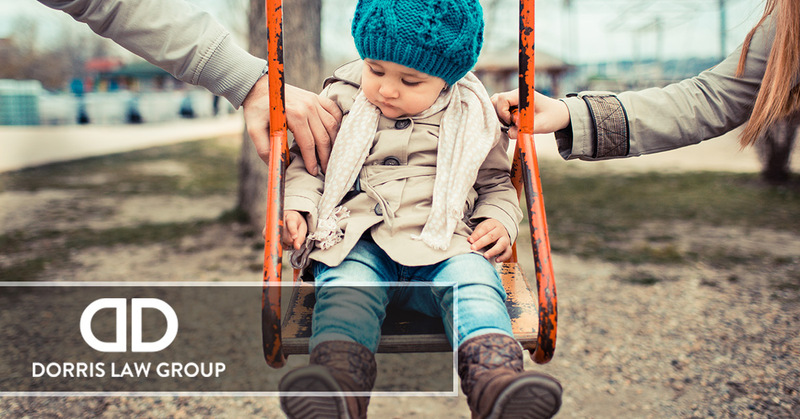 Whether you need assistance negotiating child custody, dividing assets, or enforcing child support after the divorce is final, you want an attorney that’s well-versed in Arizona divorce law to ensure that you benefit from the most qualified representation possible. Another aspect of divorce, alimony, can be challenging to navigate without skilled legal counsel. As your Top Rated Local® Tucson divorce attorneys, the team at Dorris Law Group stands ready to provide you with quality legal representation and to answer any questions you have about the alimony process. For your convenience, we’ve addressed a couple of them in this article. To learn more and further discuss your case, contact our staff today at 520-622-4866 to schedule your free consultation. Who is Eligible for Alimony? Did the spouse requesting support contribute financially to the educational pursuits of the other spouse? Is the spouse seeking alimony capable of supporting him or herself through gainful employment? Will it be detrimental to the children, because of age or health conditions, if the alimony seeker pursues employment outside of the home? Has the couple been married for a long enough time that it is unlikely for the spouse seeking support to find gainful employment? Does the spouse have sufficient property to provide for his or her reasonable needs? In order to be eligible for alimony, the seeking spouse must only meet one of the above requirements. A knowledgeable divorce attorney, like those at Dorris Law Group, can review your specific case and fight for your alimony rights. Call us with questions! The standard of living established and the length of the marriage. Work history, earning potential, and age of spouse seeking maintenance. Financial stability of the spouse paying alimony and the comparative financial resources and earning potential of each spouse. The time, expense, and availability of adequate training and education for the alimony seeker to attain gainful employment. The ability of each spouse to contribute to the educational needs of their children. The cost and availability of health insurance for the spouse who’s seeking support. Contrary to popular belief, infidelity is not a factor considered in setting alimony. However, the courts may consider issues of concealment, fraud, and excessive expenditures when computing alimony amounts. Unlike child support calculators, there is no formula used to calculate the proper amount of spousal support. Understanding the nuances of alimony in the state of Arizona is best left to a legal professional who is well-versed in the statutes that govern this area of divorce law. The divorce attorneys at Dorris Law Group in Tucson have the knowledge and skill to help you navigate the often-confusing legal process of alimony. Contact us today for a free consultation, we’d love to review your case and determine if our services are a good fit.